Want to ask a question or make a comment in real time during the LIVE hangout? 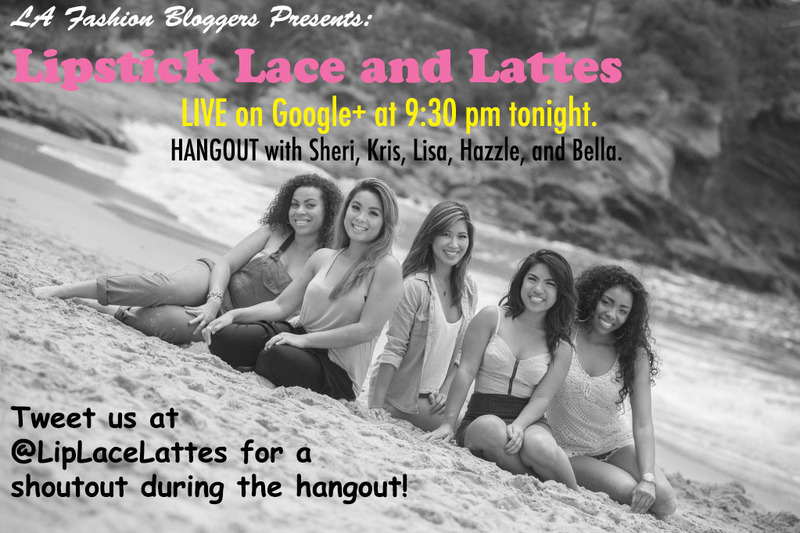 Use these hashtags #lafashionbloggers #liplacelattes or tweet us directly at @liplacelattes. You might get a special shout out for tuning in! Read and watch the behind the scenes video about the Summer Look Book Photo Shoot here. For more information about our collaboration with LA Fashion Bloggers and Google click here. UPDATE: Missed the Hangout?? Watch it below!